Description/Causes: Deterioration or cracking of the joint material leave an opening between the sections. This condition is created by the movement between the building wall and the caps, it is accelerated by freeze-thaw cycles. 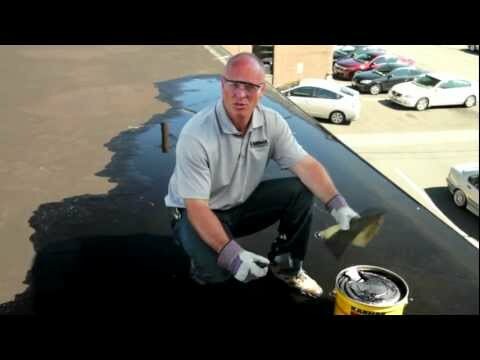 Damage Created by Condition: Cracked coping allows moisture to enter the wall and roof system, causing ruptures in the flashing and roofing systems. Separation of the mortar and spalling of the brick or block can also occur. General deterioration of the parapet and roofing system will occur. Suggested Maintenance/Products Required: Chip and clean away all loose joint material. If the opening is more than 3/4″, first install a foam backer rod to within 1/2″ of the surface. 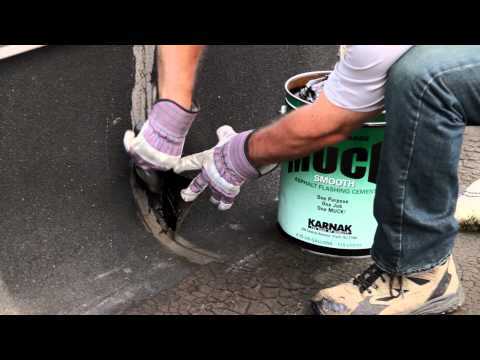 Then fill joint completely with Karnak #229 AR Elastomeric Caulk Grade and firmly tool to obtain a smooth surface. Karnak manufactures a complete line of reflective coatings, cements and sealants for roofing and waterproofing. Karnak is the leading manufacturer of Energy Star labeled coatings. Products are tested for fire All buildings have a need to battle moisture and water intrusion. Building managers also have a need to reduce energy consumption and a desire to improve the environment. Karnak has products that help fulfill all of these needs.